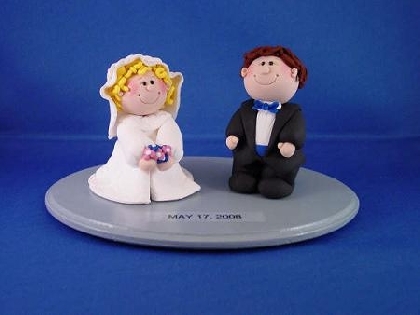 Complete your special day with a handcrafted bride and groom wedding cake topper made from polymer clay. These clay figurines are not designed to be in the likeness of the bride or groom and we use no molds. You can also customize if you are looking for something "non-traditional" to meet your wedding needs. These figurines are not toys, but a delicate figurine and not suitable for small children.